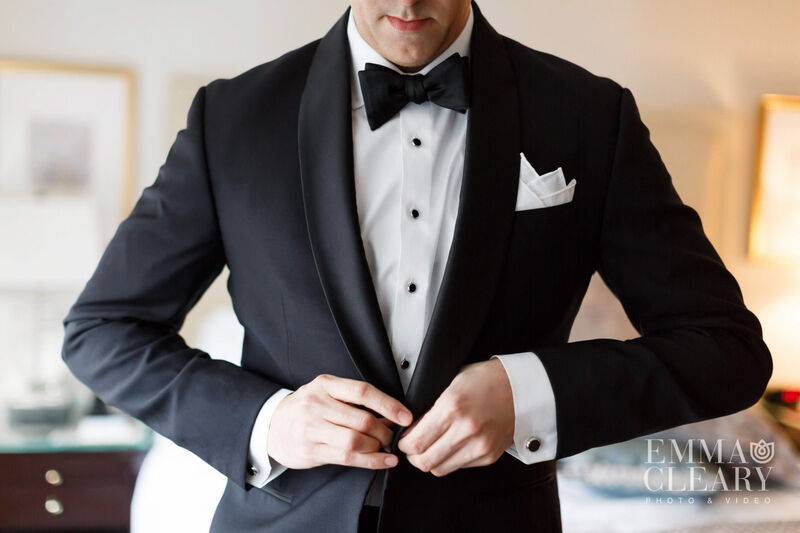 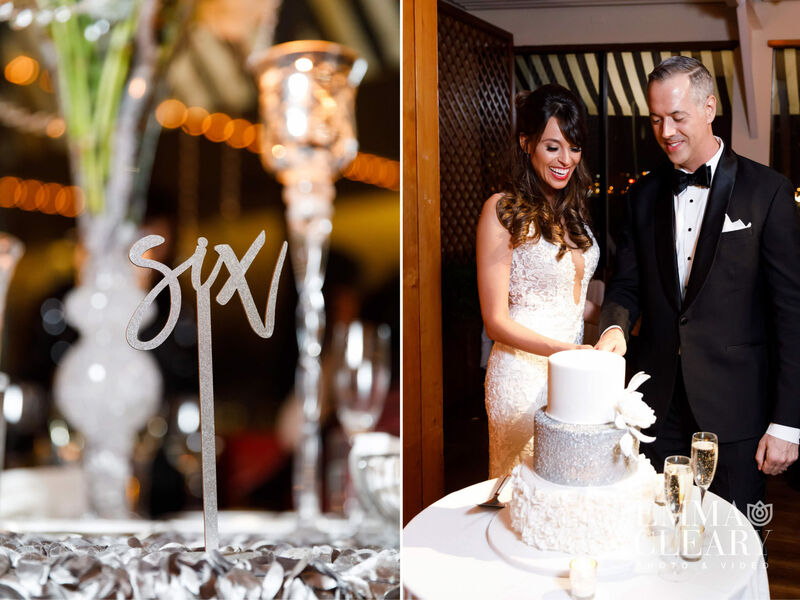 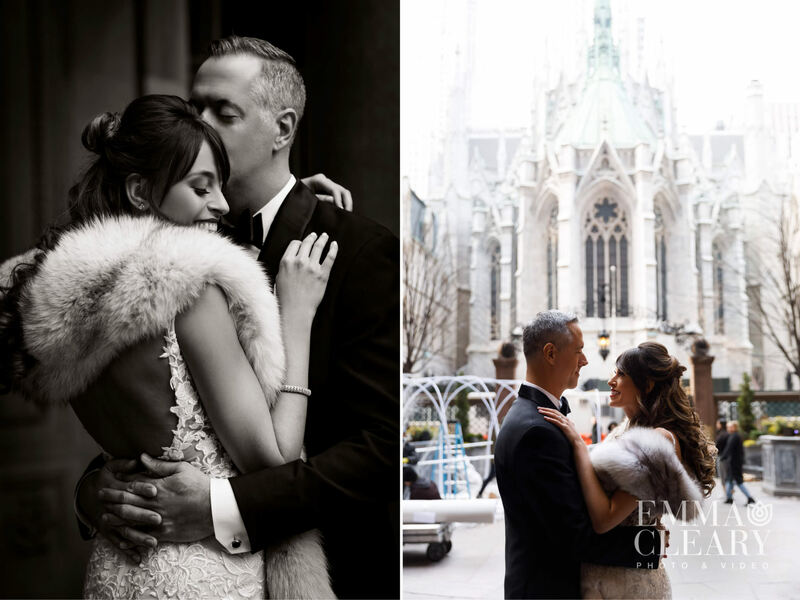 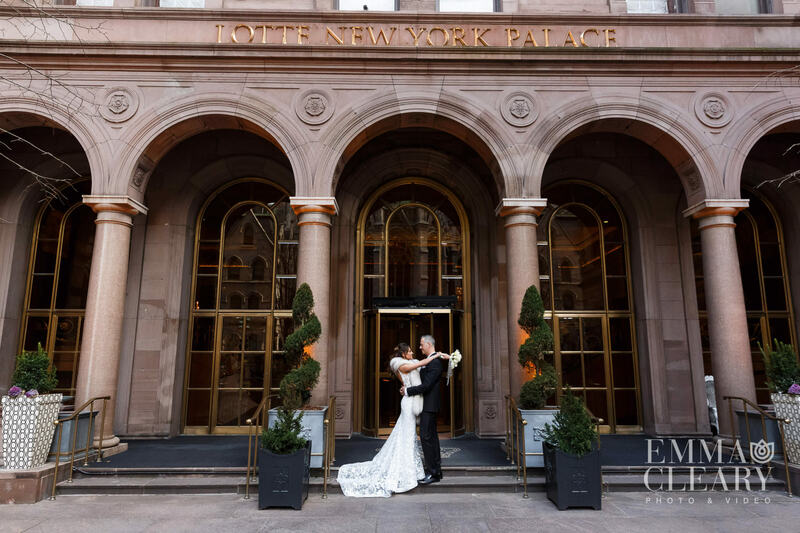 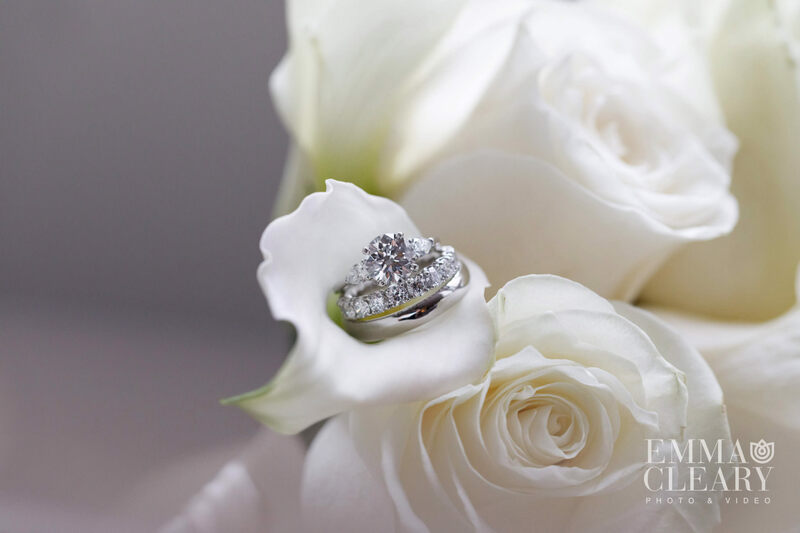 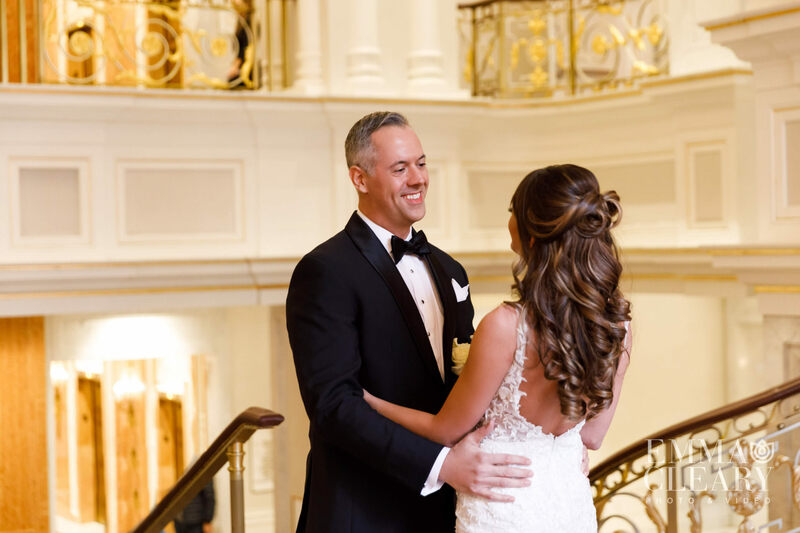 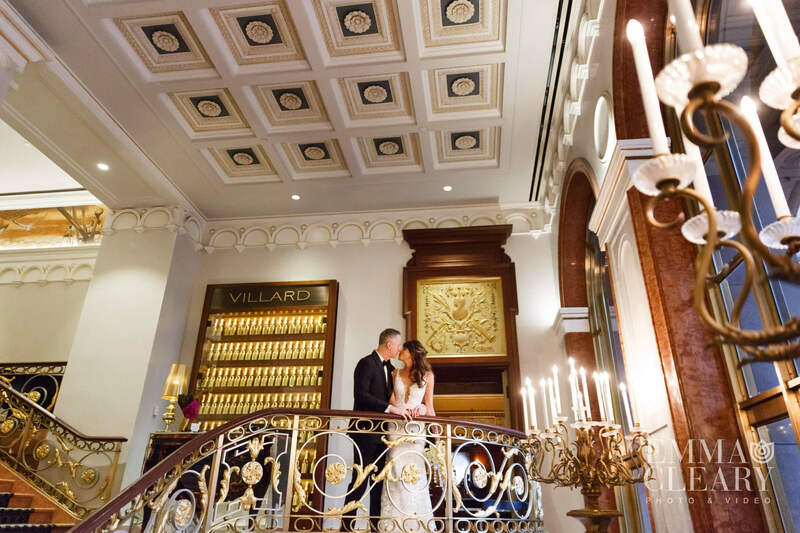 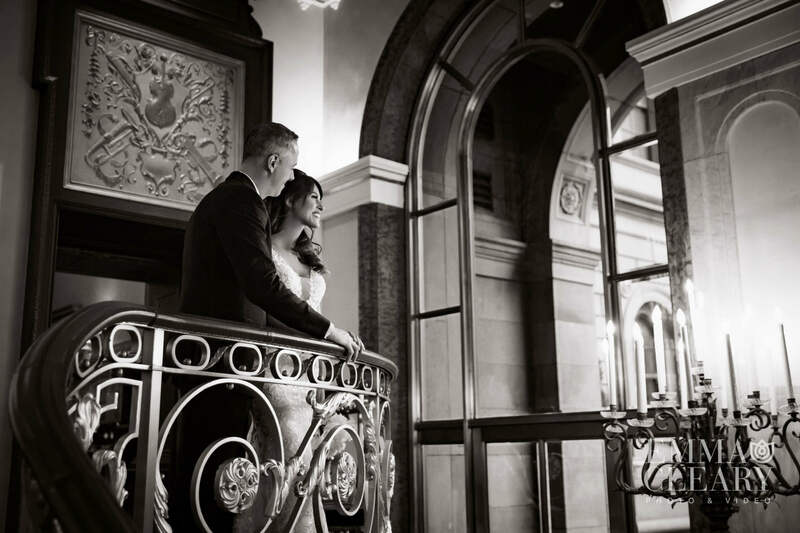 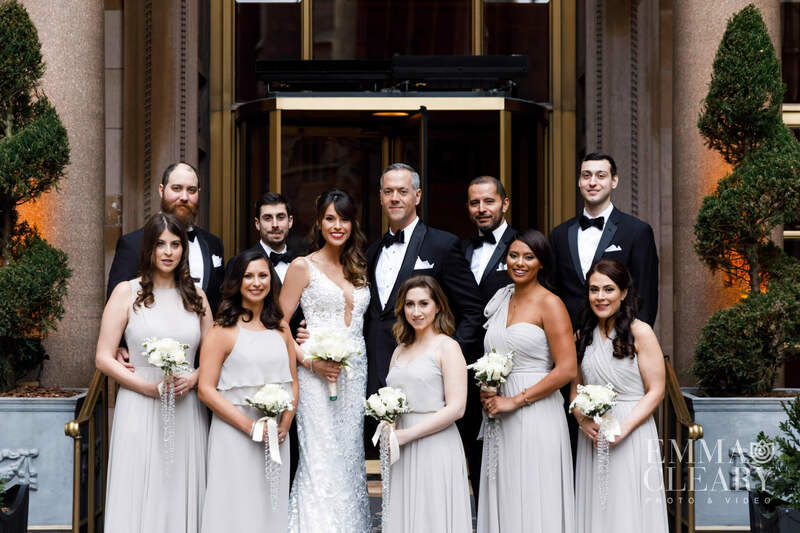 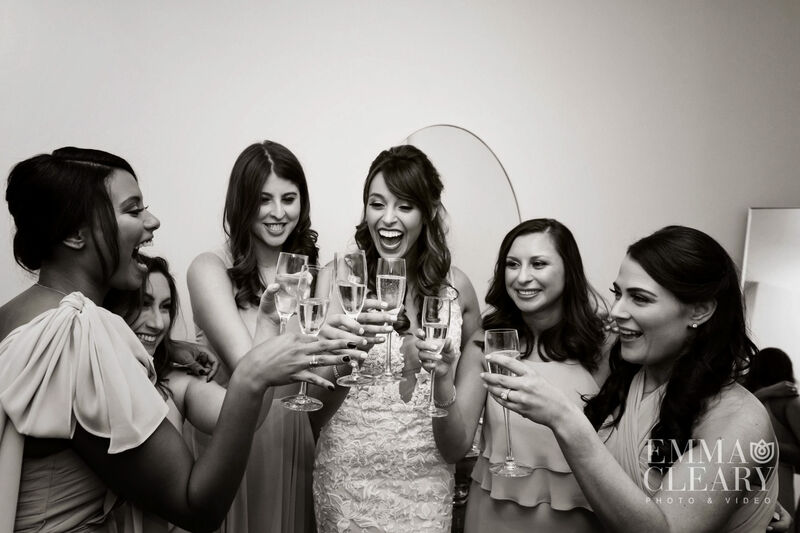 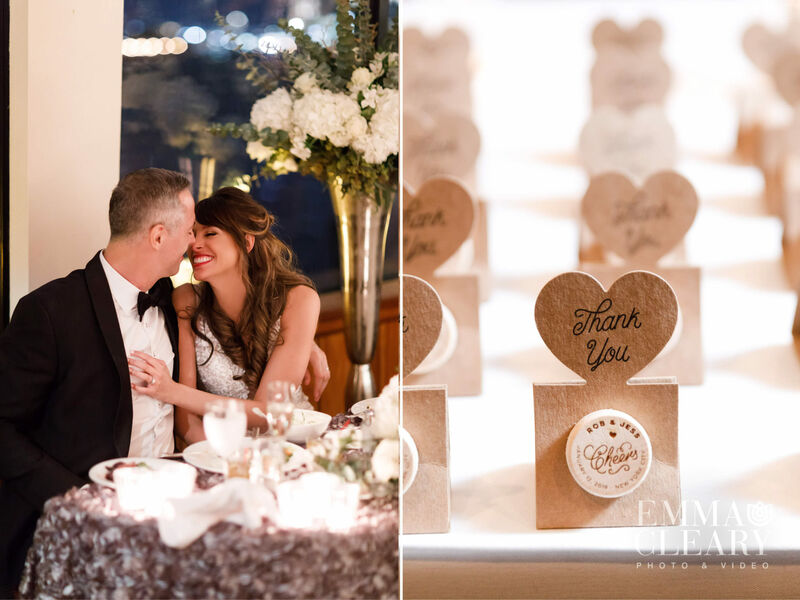 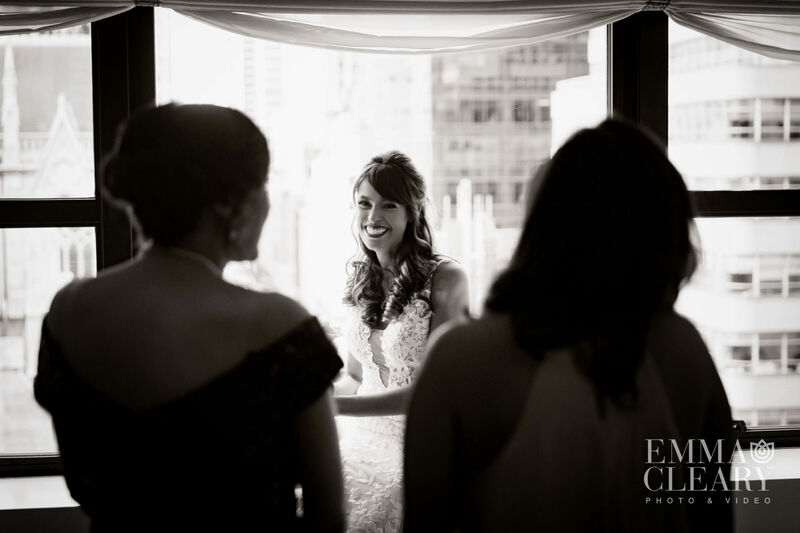 Our photographers and videographers met this beautiful couple in their luxury hotel, The Lotte New York Palace. 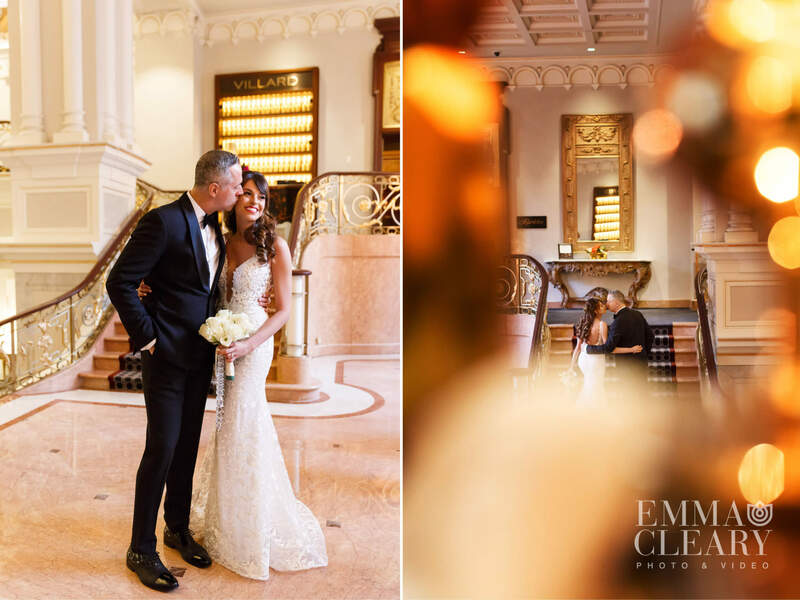 Their first look took place in the hotel’s glamorous lobby beneath the sparkling chandelier, one of many reasons the hotel is so charming. 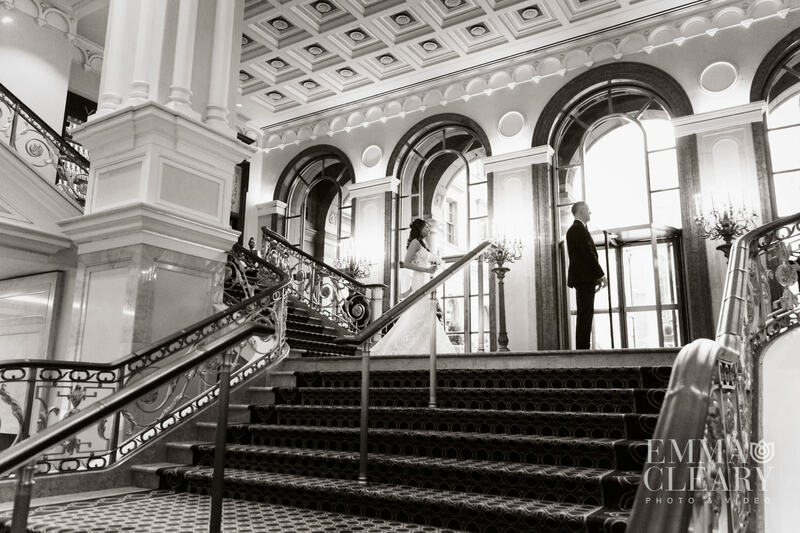 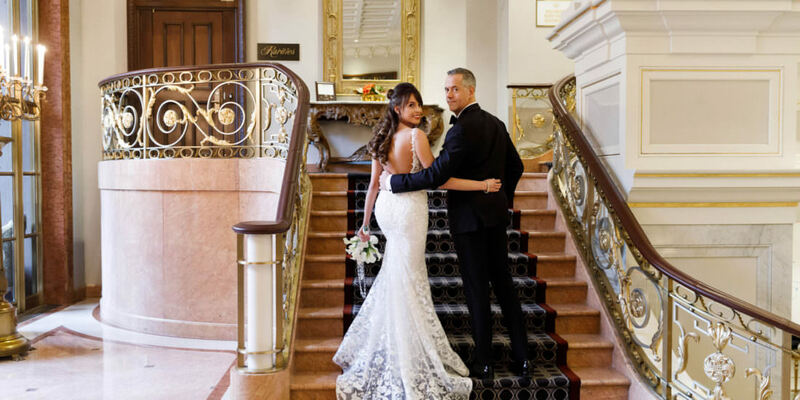 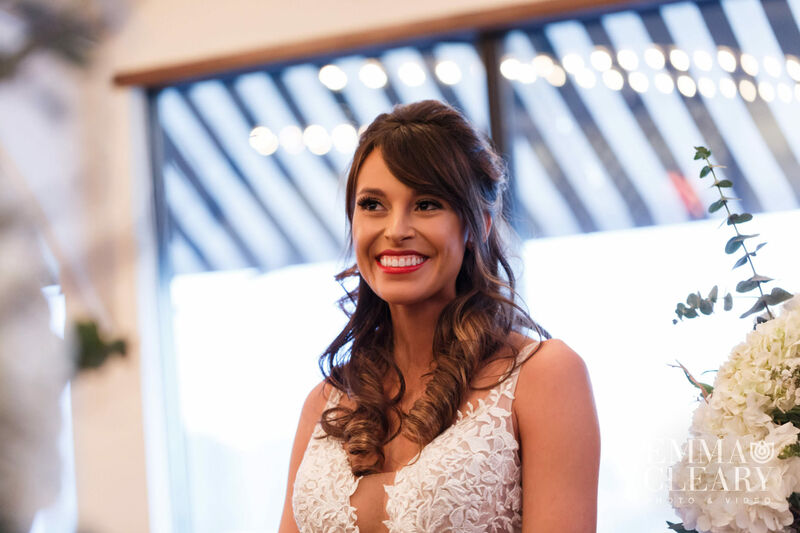 As Jess descended the stairs to meet her groom, we captured some amazing images on the hotel’s opulent staircase before taking more photos in the outdoor courtyard. 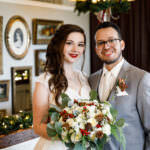 Rob and Jess held each other close as winter chill was in the air. 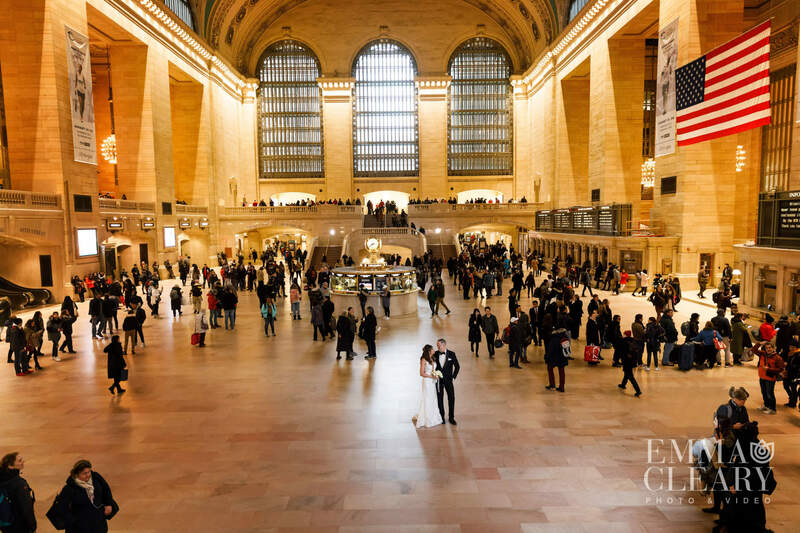 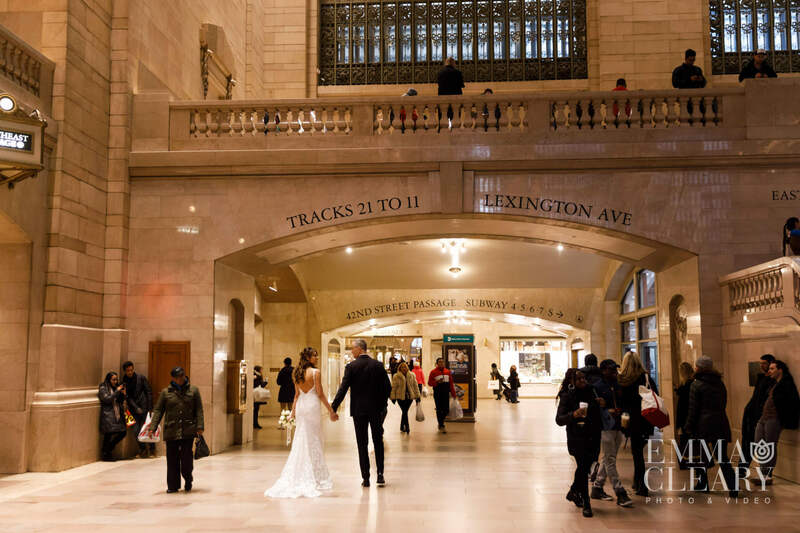 We then traveled to Grand Central Station for more photos and videos of the stunning couple amongst the hustle and bustle of onlookers. 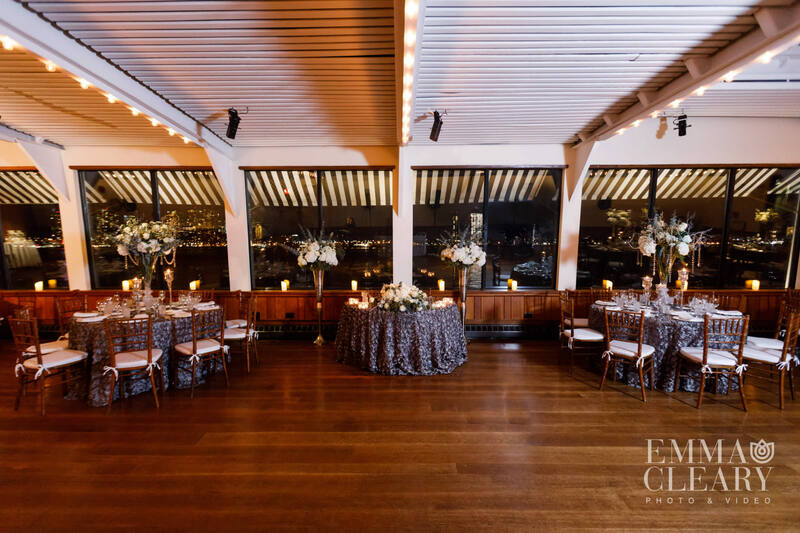 After Grand Central, we traveled to the Water Club’s rooftop terrace to capture some waterfront portraits, complete with skyline views. 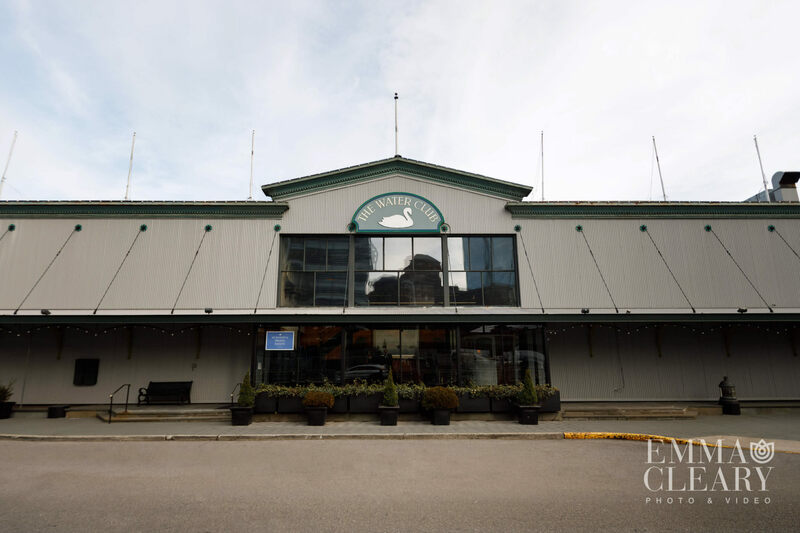 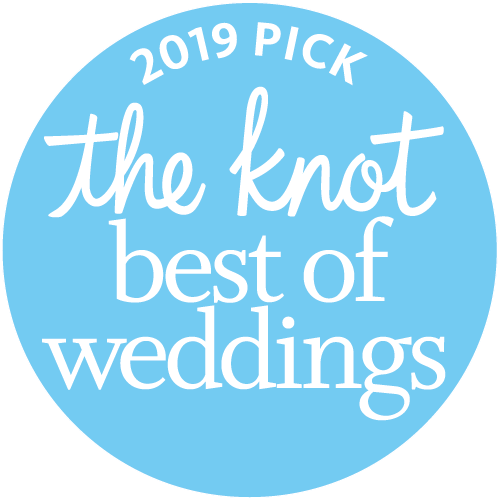 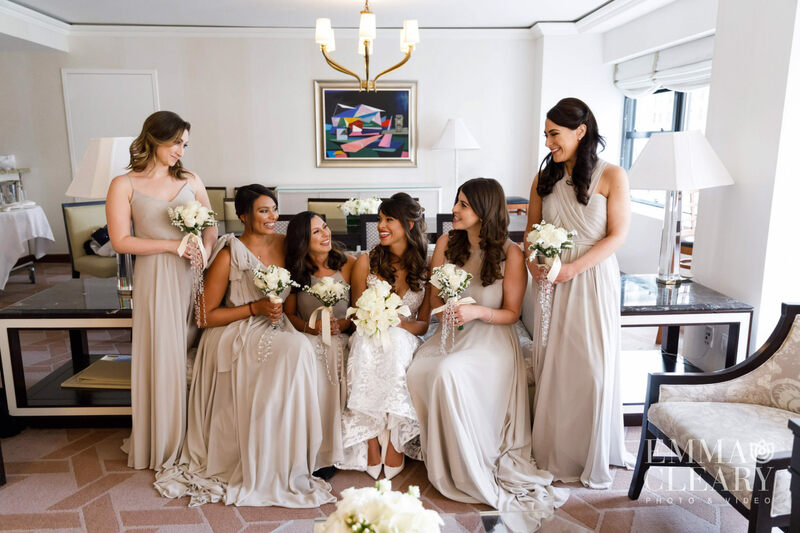 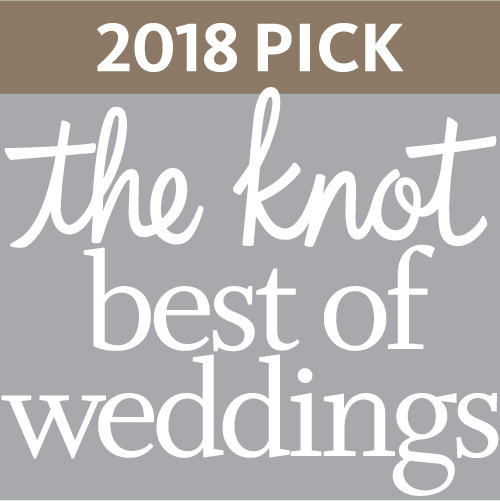 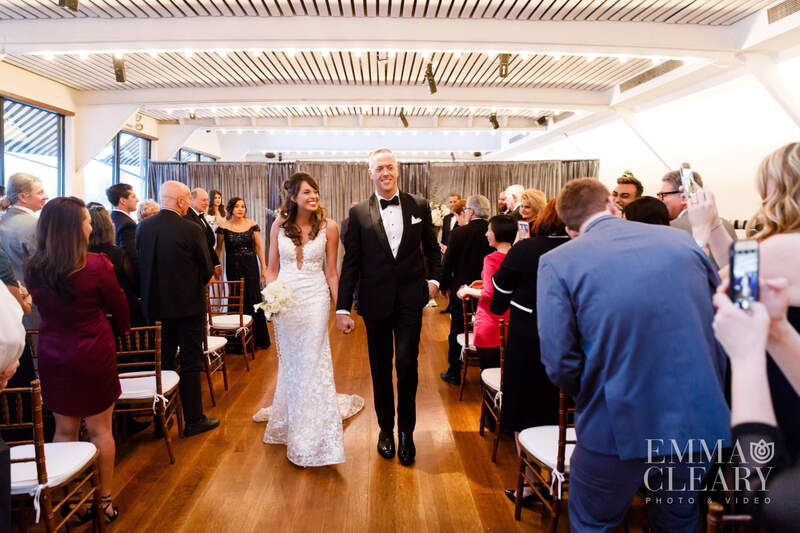 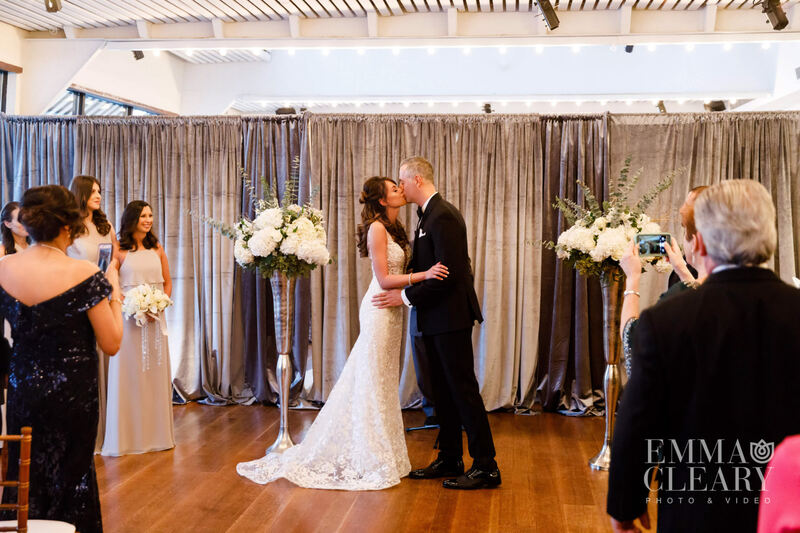 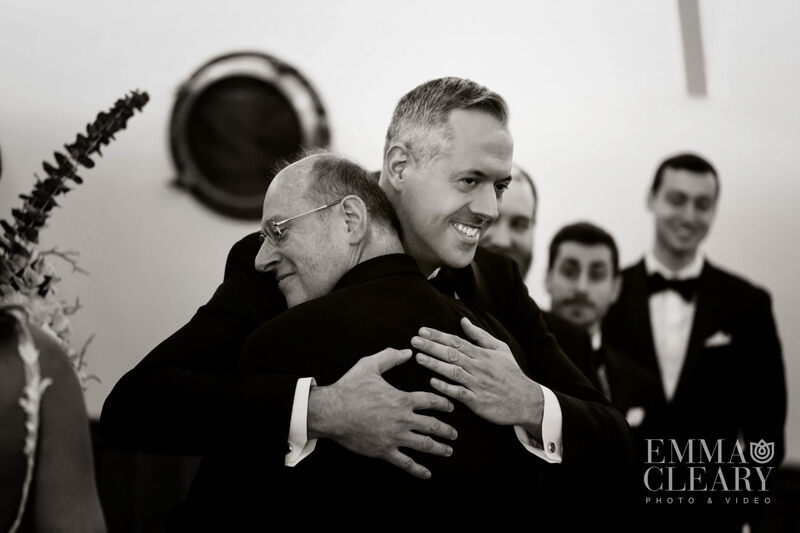 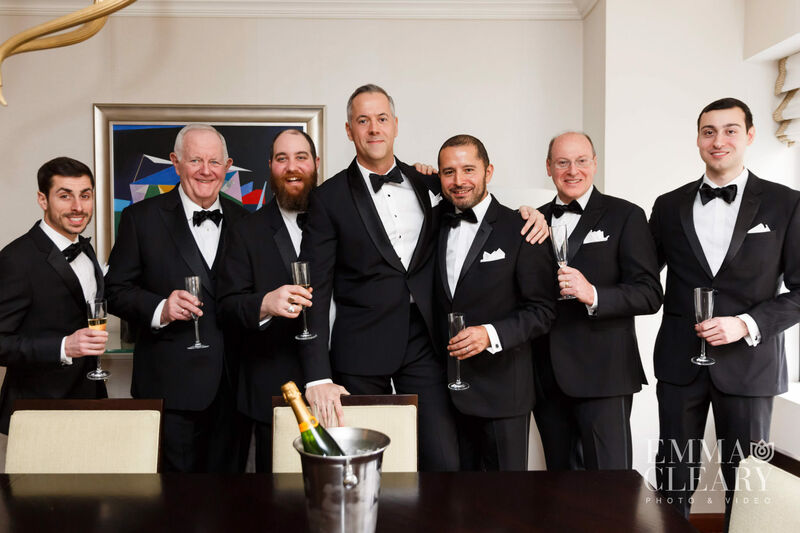 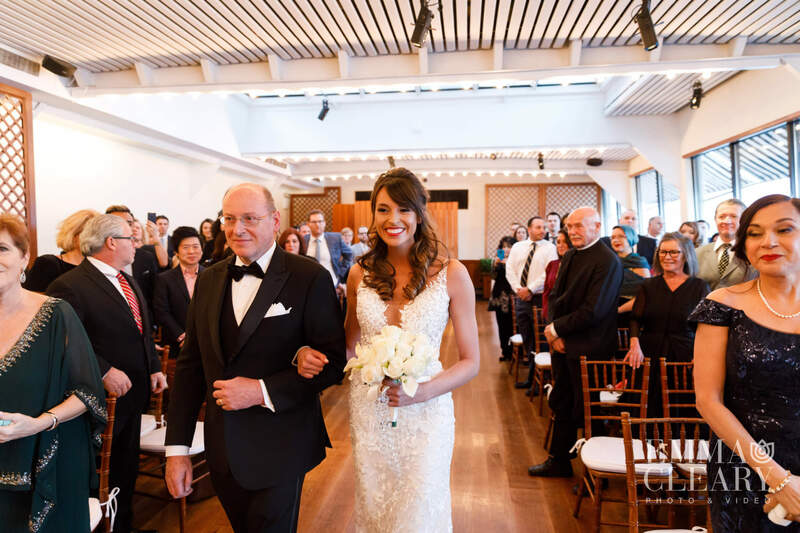 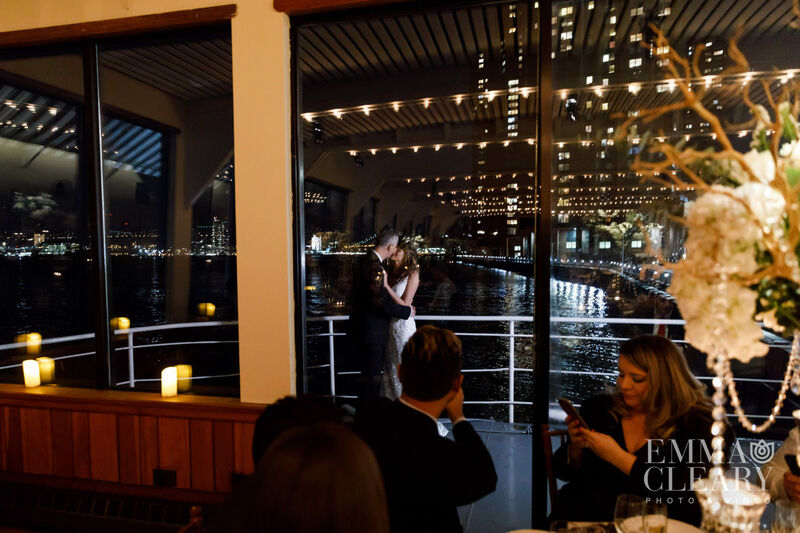 The ceremony was held on the main floor of the floating venue in a serene private room with water taxis and seagulls drifting by as the couple said their vows. 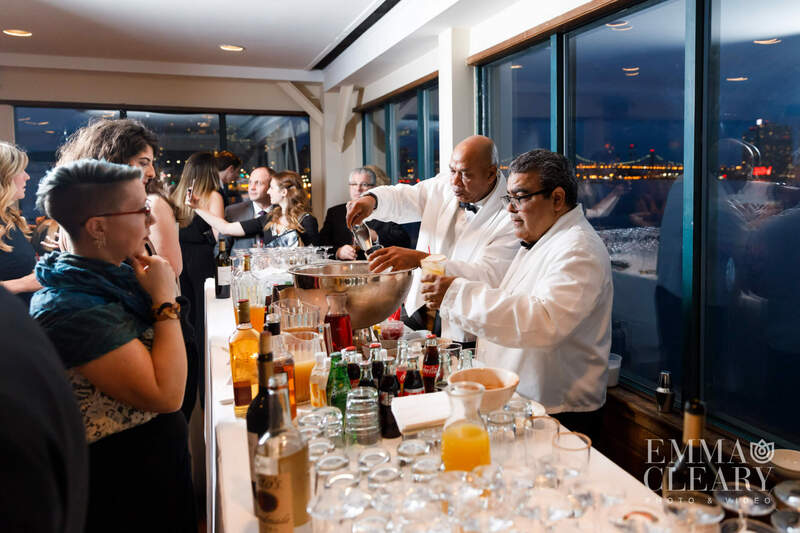 Cocktail hour was held upstairs and offered signature specialty drinks, as well as a selection of vegan delicacies catered to the couple’s tastes. 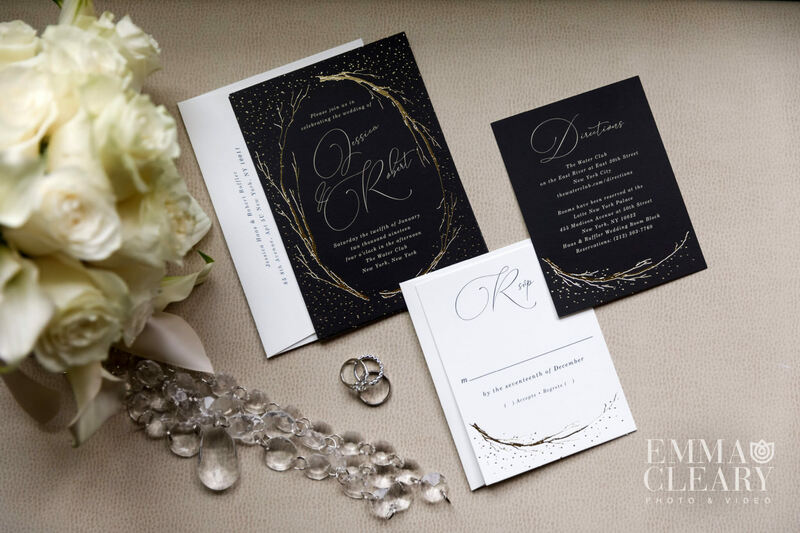 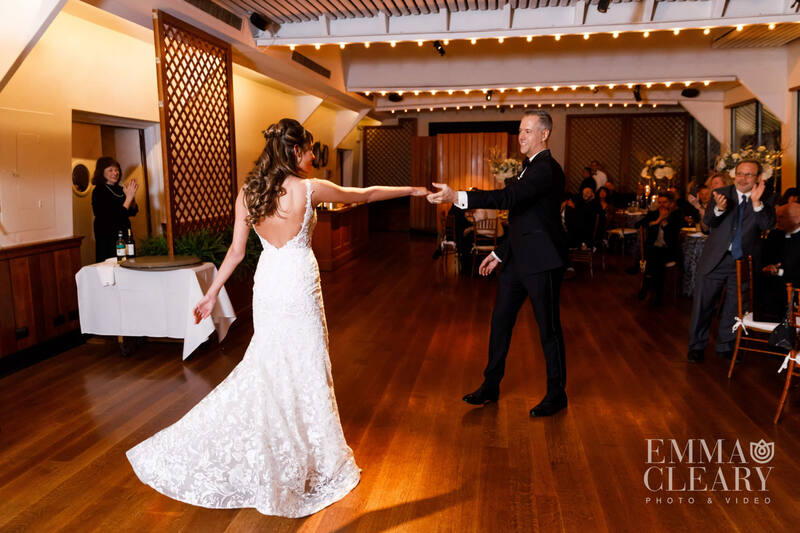 After guests were welcomed into the reception, Rob and Jess glided in and performed a choreographed dance ending in an elegant dip towards the cameras. 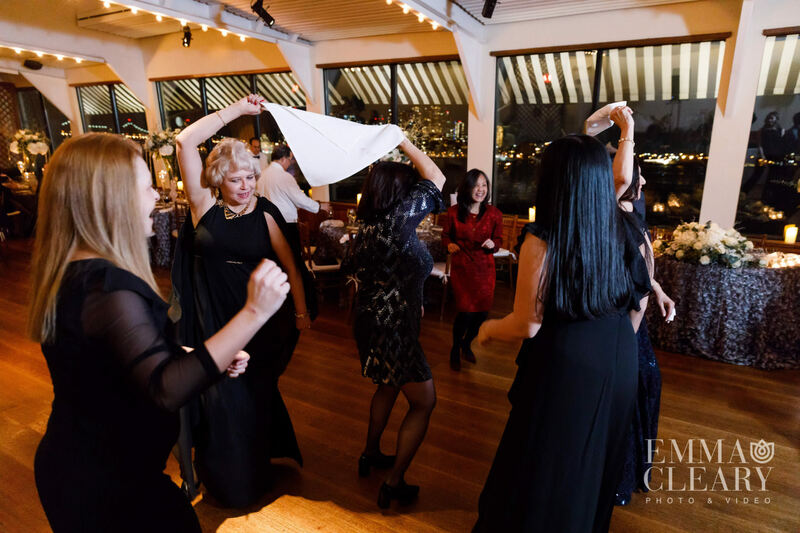 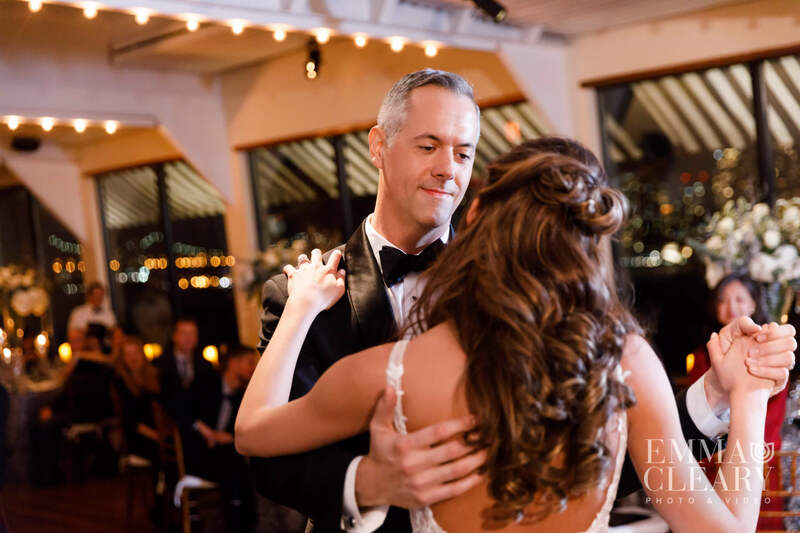 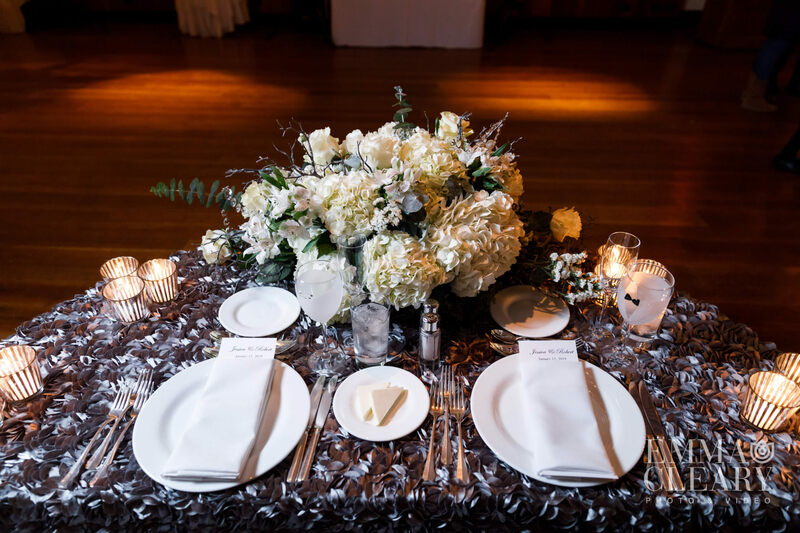 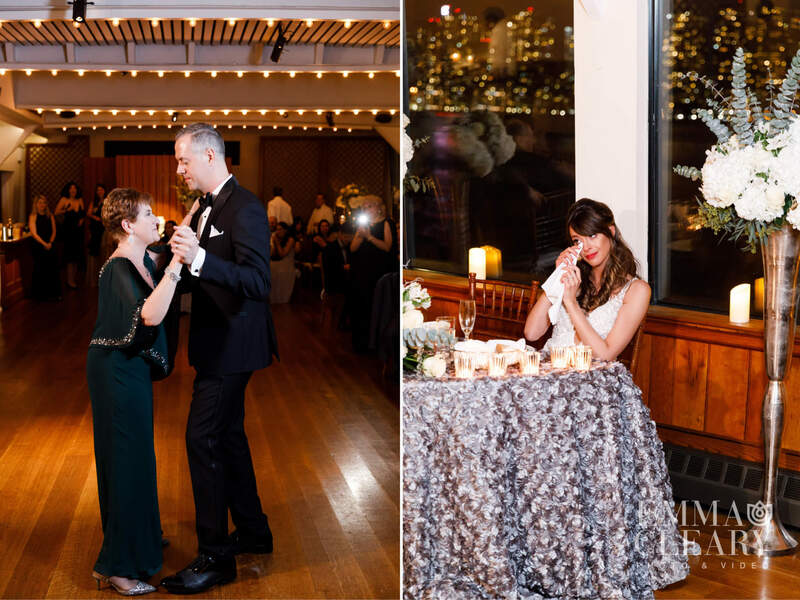 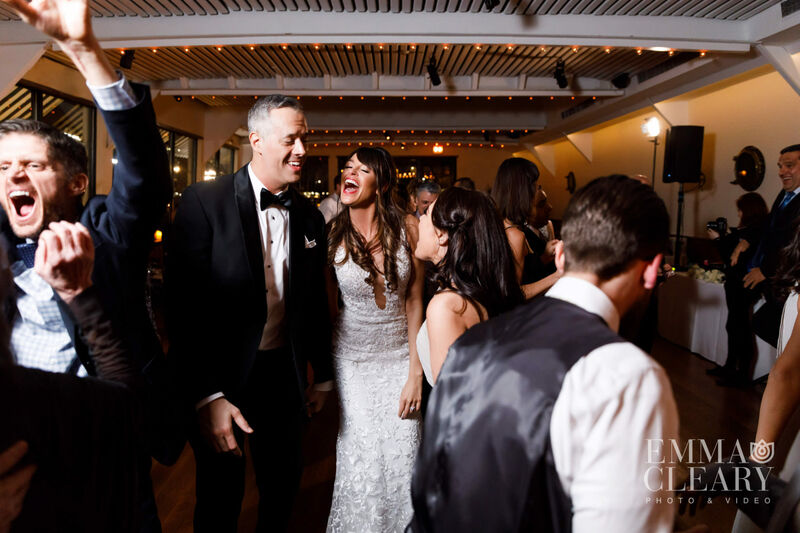 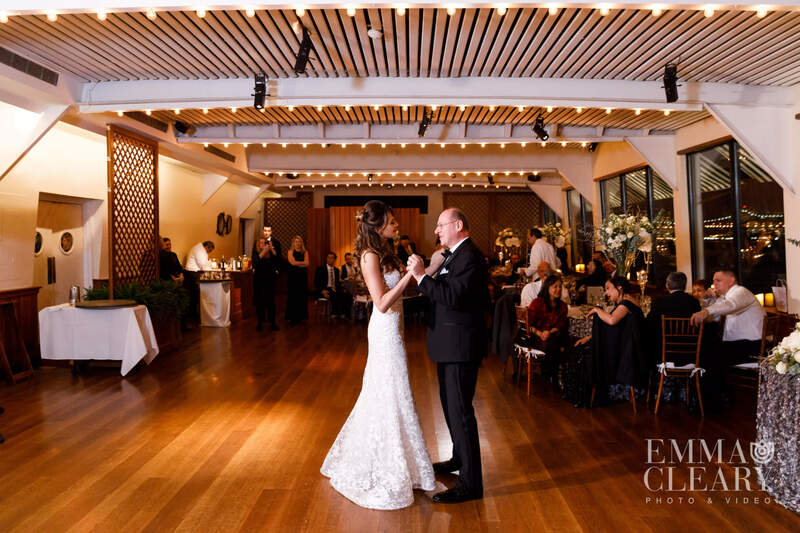 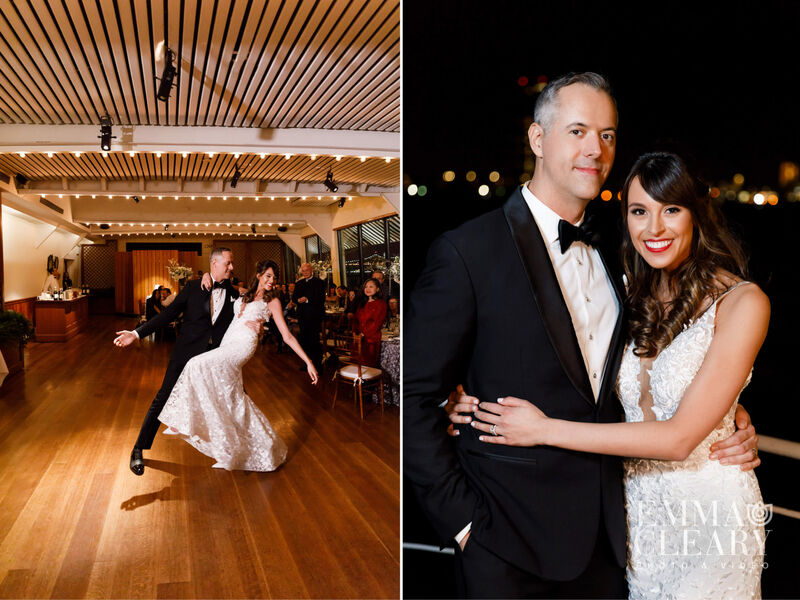 Guests enjoyed heartfelt speeches, a delicious meal, and plenty of dancing as the building lights twinkled over the East River.